"I Don't Give A" is a new track featuring Nicki Minaj on Madonna's forthcoming studio album, MDNA. The twosome recently collaborated on Madonna's MDNA lead single "Give Me All Your Luvin" - Which they performed live at this year's Super Bowl halftime show. 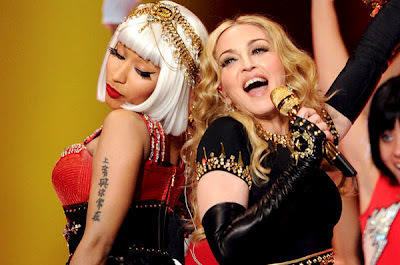 Here is a preview of Madonna's new masterpiece featuring Nicki Minaj - Have a listen and leave your comments below.